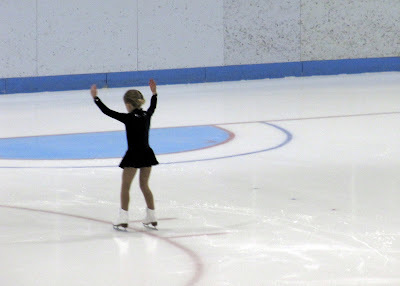 hosts a regional skating competition. The ice surface is zambonied and ready. The Canadian and Quebec flags hang in a rather droopy state. Tables and chairs await the arrival of the judges. Soon the competition will begin. 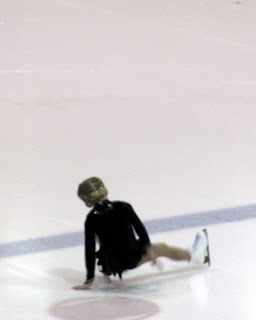 A first competition for a tiny 6 year old skater. After the warm-up skate, some news. It's all coming back to me now! Hmmmm, I think I just might like this. This is really sweet – I hope she will become a star. So gorgeous, Bonnie. You all must be so proud! More please! Applause!!! What a nice sequence of photographs. 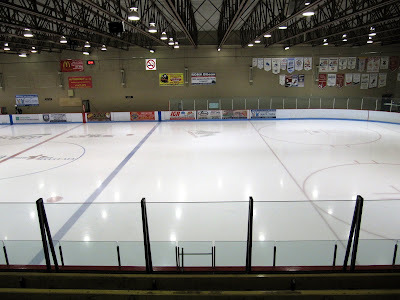 That rink does look huge! She reminds me of my two daughters in their figure skating days. When we lived up north in Powassan we paid $25 for them each to belong to the skating club for the season. They loved it. 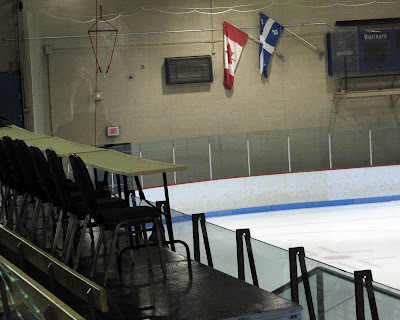 But when we returned to Toronto for me to complete my Masters degree, the local club charged $2000 each plus a cost for ice time, which we couldn't afford. Parental regrets and guilt rears its ugle head. Lovely 6 yr. old...hope her light shines bright! How sweet. And what bravery. I don't think I could have done that at six. She is a beautiful star! It take courage for a small one and lots of support from family. She looks to have everything she needs. You must be a very proud Grandma. I used to do the music at the figure skating club for their dances many moons ago... the Dutch Waltz and the Canasta Tango come to mind. Was she doing a required dance or a free style programme? What ever it was, I was very impressed that she rose from her fall and continued. Beautiful inside and out! 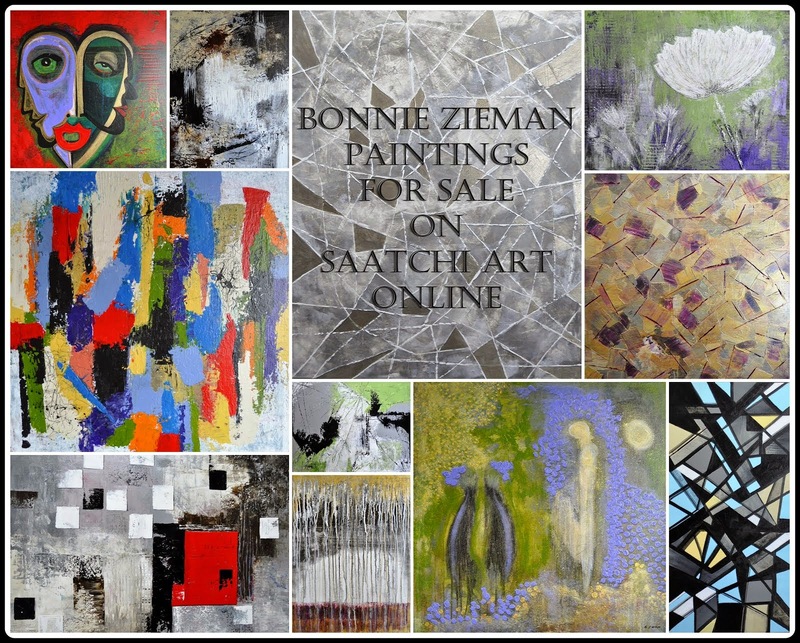 Lovely pictures Bonnie, thank you for sharing. I bet you have sparkles in your eyes reading these comments! As everybody said "little sweetie". May the ice never get harder for her. I know just how she felt in the "Me first?" picture. Fall, get up, and go on. Good girl! I can remember being six (and sometimes still feel like "six" on the inside) but I didn't realize how little six is! Told with such empathy. She's a perfect darling. 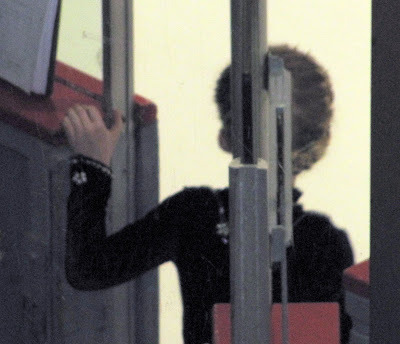 And I know how much work it takes to follow one's dream on skates. 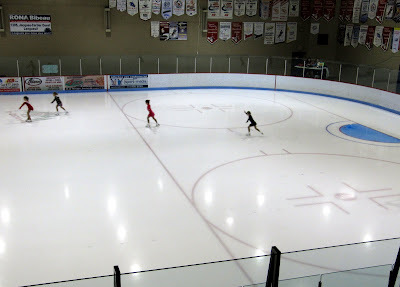 I worked for Ice Capades during high school and saw some very young kids working their hearts out. 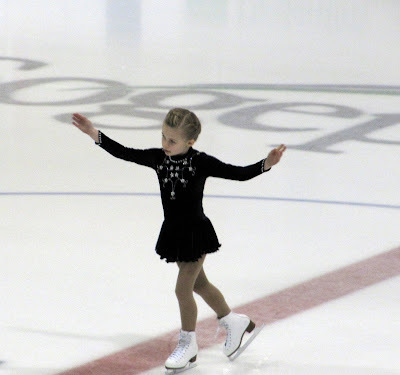 As a former skater (who never had the drive to compete) I have a lot of respect for these little ones who summer the courage to get out there. But it feels sooooooo good to glide and spin and find that amazing sweet spot on your skates that lets you feel a world of very little friction. Wonderful photos and a delightful tale! You must be so proud of her, Bonnie! This was a delightful sequence of photos and text. 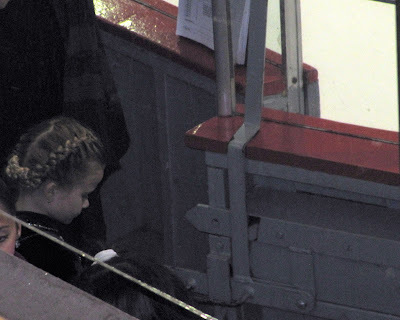 Who did her French braids?? I have rarely seen them done like that - my mother used to do exactly the same thing for me every morning from the time I was about 4 to 12, when I got my long hair cut off. She is utterly adorable! Thanks for sharing, Bonnie. What a beautiful child! 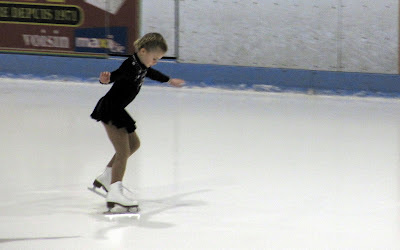 Even if she does not become a skating star, she has worked hard and is gaining confidence while performing. She will become a strong woman.